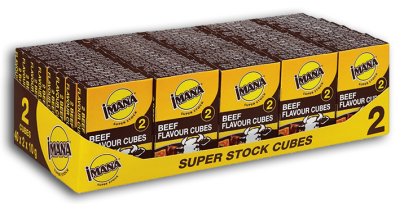 IMANA Super Stock Cubes are made from the finest food ingredients blended into an easily-dissolved paste to give rich flavour to soups, stews, curries, bakes and gravies. 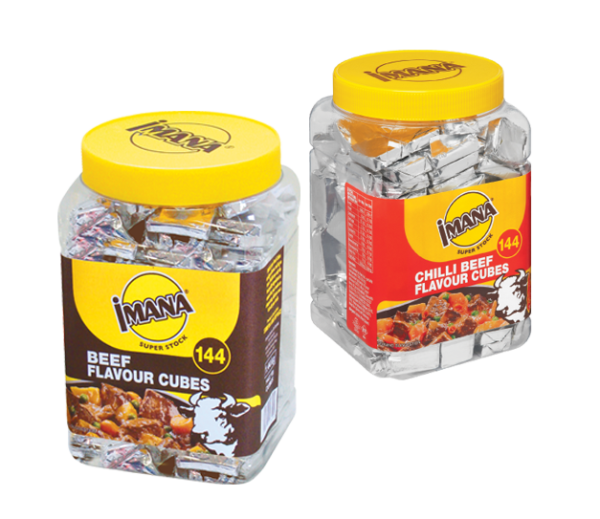 IMANA Stock Cubes Jars are made from the finest food ingredients blended into an easily-dissolved paste to give rich flavour to soups, stews, curries, bakes and gravies. Garden Vegetable was South Africa's first 100% vegetarian stock cube. IMANA Gourmet Stock Cubes are the ultimate in flavour experience. Only the BEST ingredients have been used to create a package of flavours that match the quality of a homemade stock, without all the fuss and effort. Chefs insist on making their own stock as it gives their dishes their own unique taste. In today’s busy world, the cook at home does not have the have the time to spend on stock making and this was the inspiration and the motivation for IMANA Gourmet Stock Cubes. The result is a stock cube that rivals the best available in the world.